June | 2011 | Small Farmers. Big Change. The Breaking Point: Are we there? Small banana farmer co-operatives attempting to access international markets are getting dangerously close to their breaking point. The viability – and future – of both these small farmer co-operatives and the independent fair trade importers who struggle to provide consumers with healthy, organic, fair trade bananas is gravely at stake. In fact, if trends continue on their current path, consumers will soon have few brand options available when buying bananas. Roughly eighty percent of bananas are currently sold by only five multi-national banana companies and consumer options will continue to decrease. Farmers will have no choice but to give up ownership and control in their own businesses and return to being mere “suppliers” who sell their products to these same companies for whatever prices the companies dictate. Due to a variety of factors, not least being unexpected and severe weather patterns causing severe flooding and droughts throughout Latin America, the supply of organic, Fair Trade, export-quality bananas has dramatically diminished. Consequently, competition for the fruit is severe and several large multi-national fruit companies, such as Dole and Chiquita, are employing a range of strategies to secure supply. With time, money, and other resources on the side of these corporations, small banana farmer co-ops are falling further and further behind. 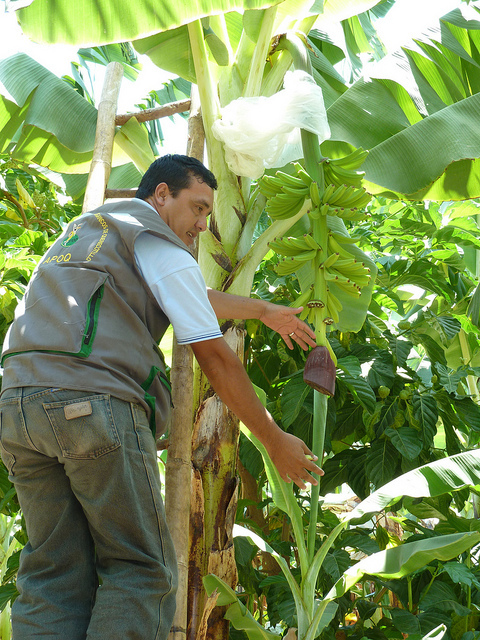 In northern Peru, where Oke USA/Equal Exchange buys its bananas from two small-scale farmer co-operatives, CEPIBO and APOQ, the stakes are particularly high. As discussed in an earlier post, The True Cost of Bananas, Dole is trying to break the co-operatives by offering farmer- members a price always just slightly higher than that which the co-ops can afford to pay. Our co-op partners tell us that week by week they are reducing costs in order to pay their farmer-members a few cents more per box of bananas: only to learn that Dole has come around the farms matching and raising whatever price the co-op is offering. Although many farmers understand this time-tested strategy that those with money can apply (pay high to break the competition and then when you control the market, pay whatever you like), the economic reality of small farmers often causes them to choose a penny wise and pound foolish strategy. 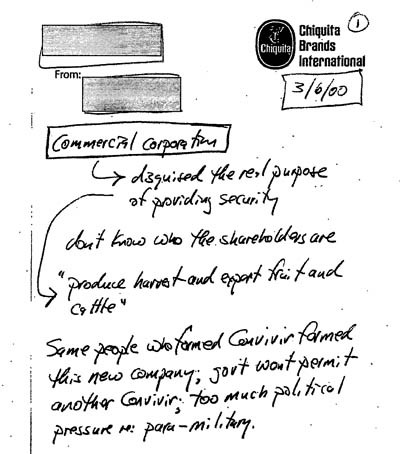 “These companies buy bananas at high prices and sell them at low prices, meaning that there is a clear intent to destabilize; they take advantage of the fact that we are relatively young organizations and new to the market, confronting very big companies who make use of their economic power to achieve their objective,” said Ruiz Delgado. If you would like to know more about how these unfair practices are affecting everyone along the supply chain from the farmer, to you, the consumer, please read the Oke Usa team’s latest edition of Beyond the Peel. 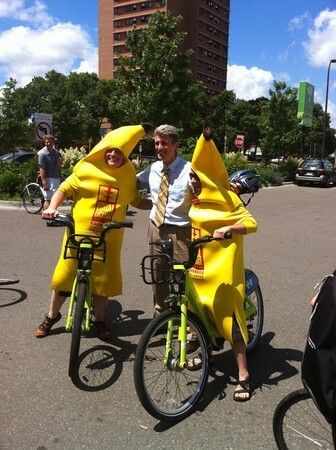 Equal Exchange co-owners Scott and River got to ride bikes in banana suits Monday! The highlight of this sartorial adventure was the photograph with Minneapolis Mayor, R.T. Rybak. The event celebrated the expansion of Nice Ride MN, a nonprofit organizer of low-cost bicycle rentals in the Twin Cities. Participants, including Mayor Rybak and St. Paul Mayor Chris Coleman, gathered at Seward Co-op, an Equal Exchange partner, customer and a co-founding member of the P6 Co-operative Trade Movement. They ate ice cream from Nice Ride’s bike-powered ice cream maker and took a leisurely ride across the Mississippi River to visit the new Nice Ride stations. Equal Exchange has been a proud sponsor of Nice Ride MN since its inception. Reducing carbon emissions by adopting cleaner transportation helps small farmers and consumers everywhere! For the full article in the Southwest Minneapolis Patch and additional photos, click here. 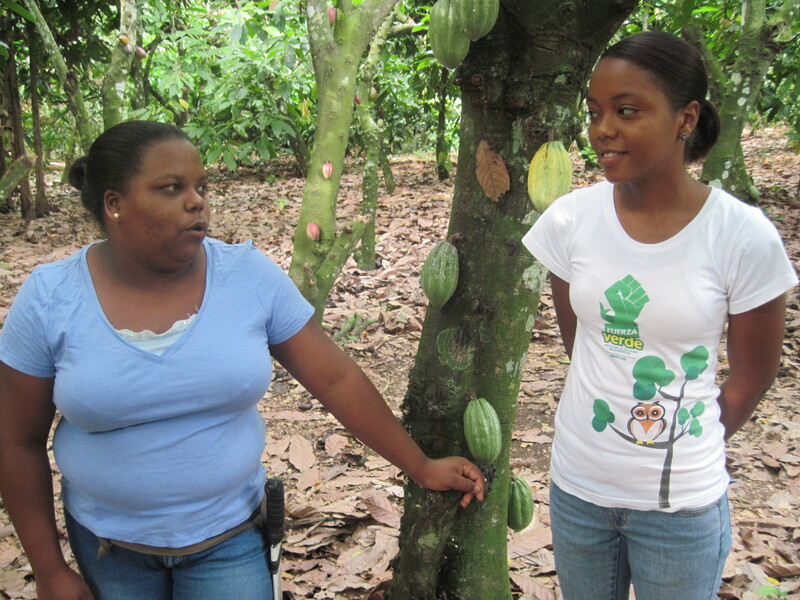 Ana Rodriguez discusses her cacao farm with Elva Maria Vasquez Severino. Both are involved in youth management and production leadership programs with CONACADO. With a swift whip of her machete, Ana Rodriguez deftly broke open a cacao pod in her hand, revealing the inside. “Here,” she instructed me, “try some of the outside layer; it’s very sweet.” The coating covering the cacao beans that would later be fermented, dried, and processed by the small farmer co-operative CONACADO had a distinctive fruity, sweet flavor. Over the next few days, Ana, a 31 year-old small farmer and member of CONACADO, welcomed me into her lovely home, and shared her natural tour guide skills (which she uses in her side job as a tour guide) as she explained the process of farming cacao from start to finish. 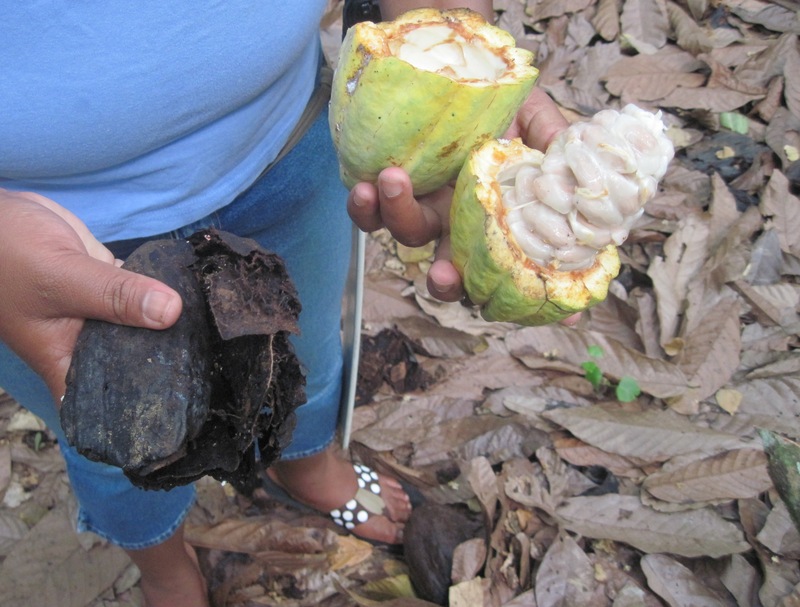 Ana Rodriguez, cacao farmer and member of CONADADO, shows the inside of a fresh cacao pod, right, and a composting one that will later be organic compost, left. One day, Cepicafe’s history will be written and an important chapter will be the one written about its political positioning and how we broadened our objectives due to the realities we have had to face; and how, together with the producers, we have created new paths. At one point, we only looked at technical and productive aspects of farming, but now our perspective is complemented by also examining organizational and business aspects, and most recently, the political sphere. Fifteen years after our inception, we are proud to say that the small producers of Piura have made it to the Vice Presidency of Peru. 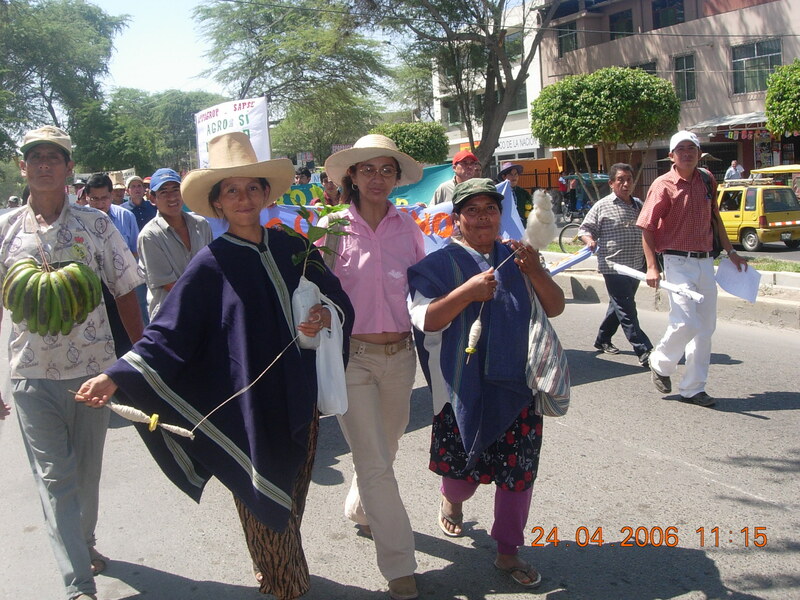 In 1991, having recently graduated from the National University of Piura, we wanted to improve the quality of life for producers and help them to earn a dignified wage. 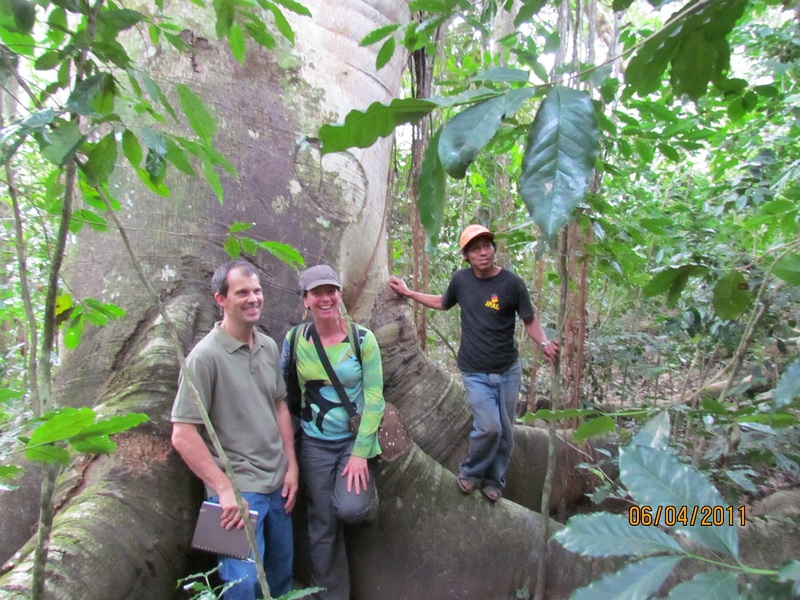 So we returned to the mountains of Piura in order to improve the productivity of coffee crops. The producers told us that production was not their main problem. “The problem is the market,” they told us. In order to create a relationship with the market, in 1995 we founded Cepicafe. We began to export fair trade in 1997. 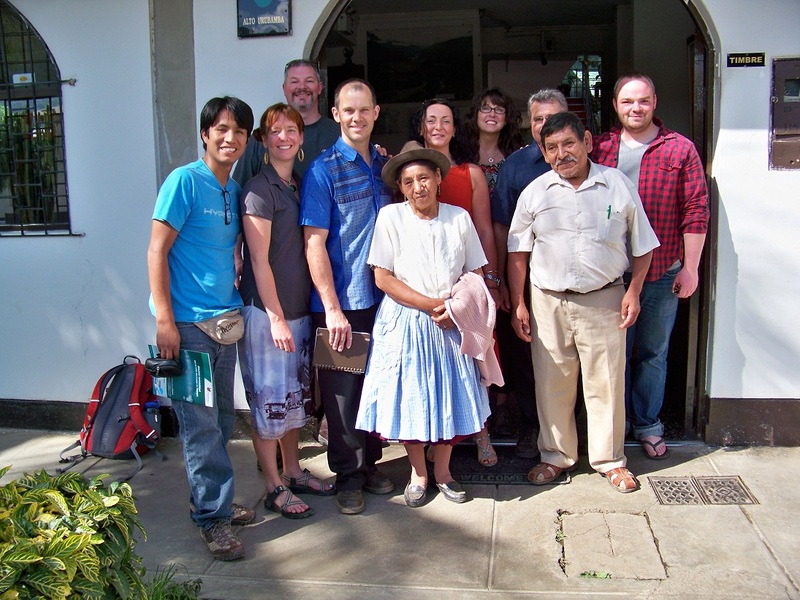 Today the Piurna Coffee Growers’ Association (CEPICAFE) is northern Peru’s most important producer organization. “Oh Papi! Where’s Linda, did you bring her?” Emilio said as he greeted me with a big hug. We had dropped 300 meters down the side of the mountain to the home of Emilio and Maria Huillca. The couple had hosted Sparrow Linda Johnson for two nights in June 2001, and over the years both Emilio and Sparrow continually asked me for updates on the other.